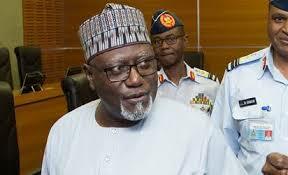 In what appears to be a twist to the siege on the National Assembly by security operatives on Tuesday, the Acting President, Yemi Osinbajo, has sacked the Director-General of the Department of State Service, Lawal Daura. Osinbajo’s spokesman, Laolu Akande, disclosed Daura’s sacking on his Twitter handle, @akandeoj. He wrote, “AgP Yemi Osinbajo has directed the termination of the appointment of the DG of the DSS, Mr. Lawal Musa Daura.